Sociology: A Down-to-Earth Approach highlights the sociology of everyday life and its relevance to students’ lives. 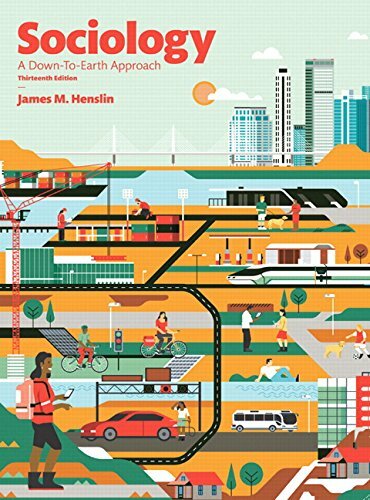 Throughout the text, author James Henslin shares the excitement of sociology through his acclaimed down-to-earth approach and personal writing style. Six central themes help stimulate students’ sociological imaginations: a down-to-earth approach, globalization, cultural diversity, critical thinking, the new technology, and the influence of the mass media on our lives. The Thirteenth Edition has been extensively revised to include contemporary examples and fresh topics that bring sociology to life. Sociology: A Down-to-Earth Approach, Thirteenth Edition is also available via REVEL™, an interactive learning environment that enables students to read, practice, and study in one continuous experience.